If you can only buy one piece of snowboard kit, make sure you get boots. And if you are going to buy a board, make sure you buy your boots first. The width of your board will depend on your boots. To help you on your quest, we've enlisted the help of Snow and Rock snowboard buyer Mark Harries - check out his top tips below. Everyone's feet are different, so it's important to find a good shop where you can get unbiased advice. 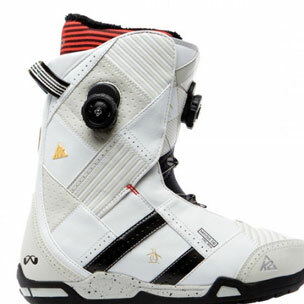 The inner padding of snowboard boots will also pack out, so it's sensible to buy boots that are tight to prevent them becoming too loose later on. Mark says: "The shape of your feet should be assessed and there should be a good choice. Different brands will use different fit profiles, so it’s important to leave any brand biases at the door, and go with the pair that fits your feet and suits your level. Try a few pairs on and don’t be surprised that your shoe size most probably will not reflect your boot size. 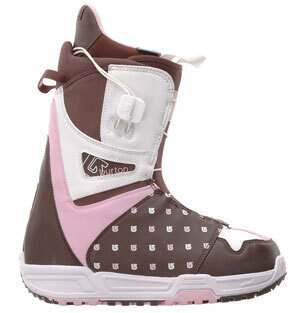 Snowboard boots are a performance fit and should be snug without being uncomfortable. " Mark says: "Consider your level and what you intend to do. If you are a beginner then an overly stiff boot will only hinder your progress, making it more difficult to initiate turns and control your board. Conversely if you are an advanced rider then a softer flexing boot won’t give you enough support and response at high speed. " Tend to have narrower feet and lower calves than men and there are boots specifically designed for this. Mark says: "Most brands now produce specific boot lasts built to cater for a womens physiology. It's not a colour thing! "